The caterpillar feeds according to literature on Euphorbia species such as particularly E. spinosa. Eucrostes indigenata usually occurs in coastal, hot and dry areas. But I found the pictured moth at 700m above sea level on Mount Olympus (Greece) in a beech forest in a canyon. The caterpillar overwinters. 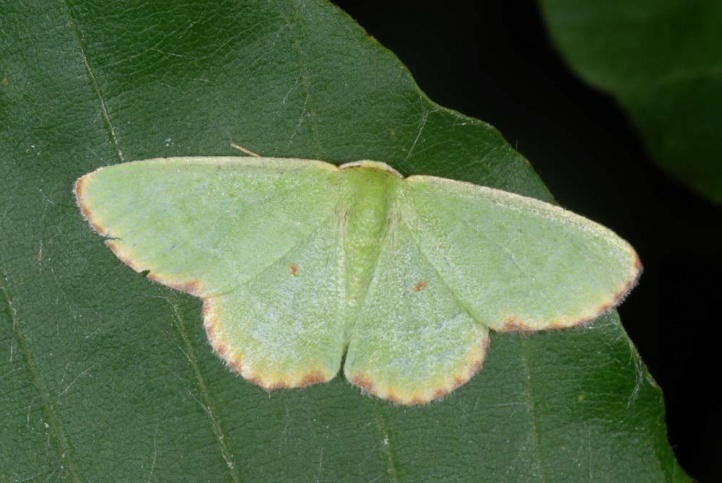 The moths form two or three generations from May until early October. The Art in Europe and North Africa is widespread along the Mediterranean Sea. Inland it is rare, for example, in Hungary.